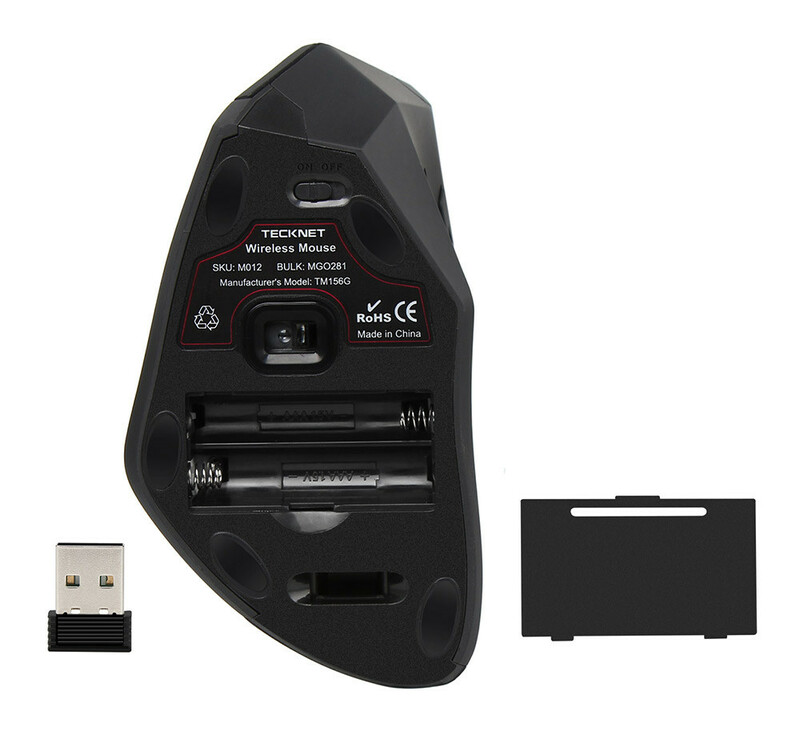 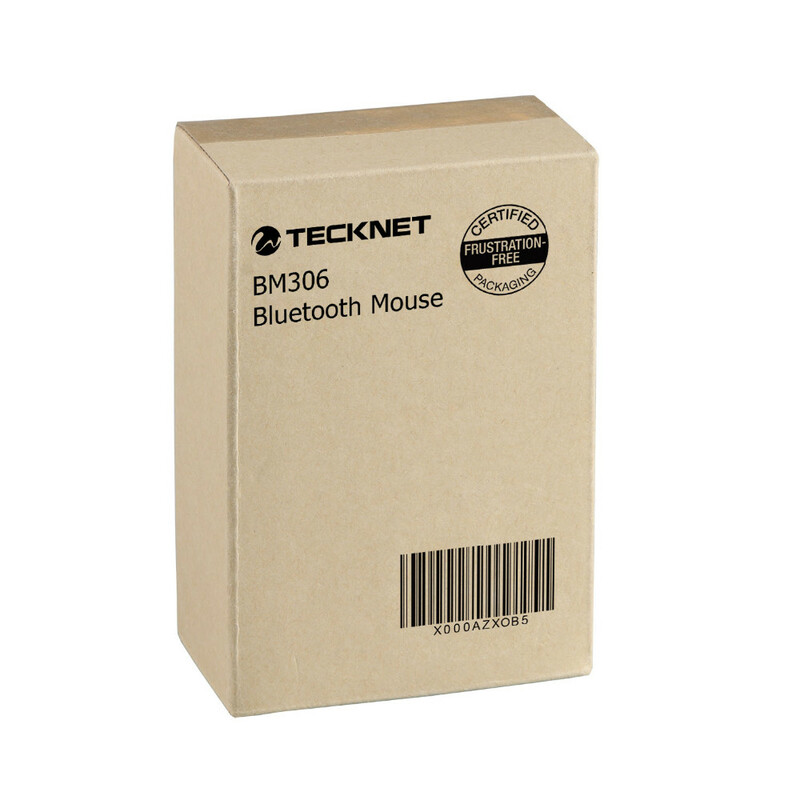 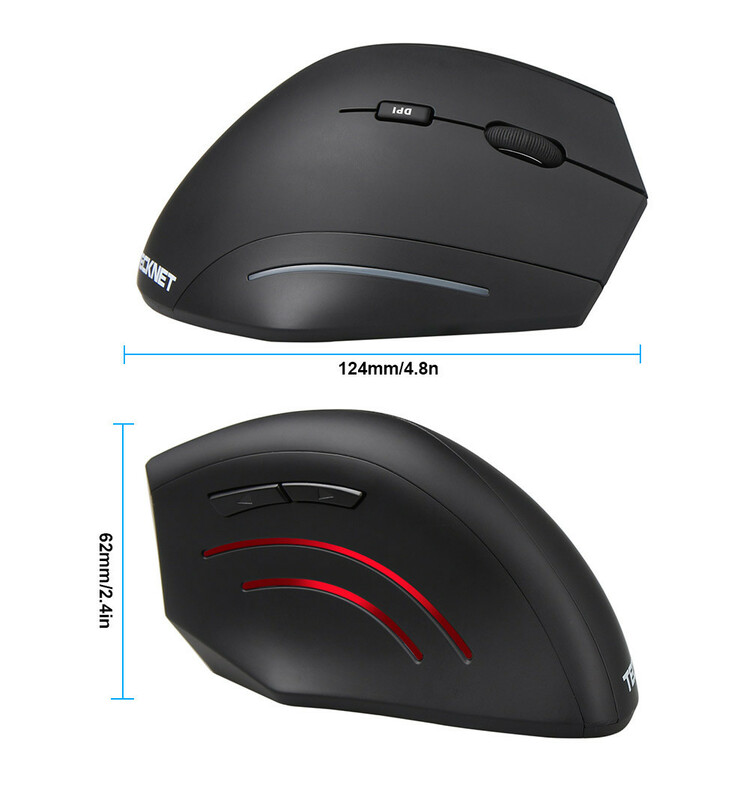 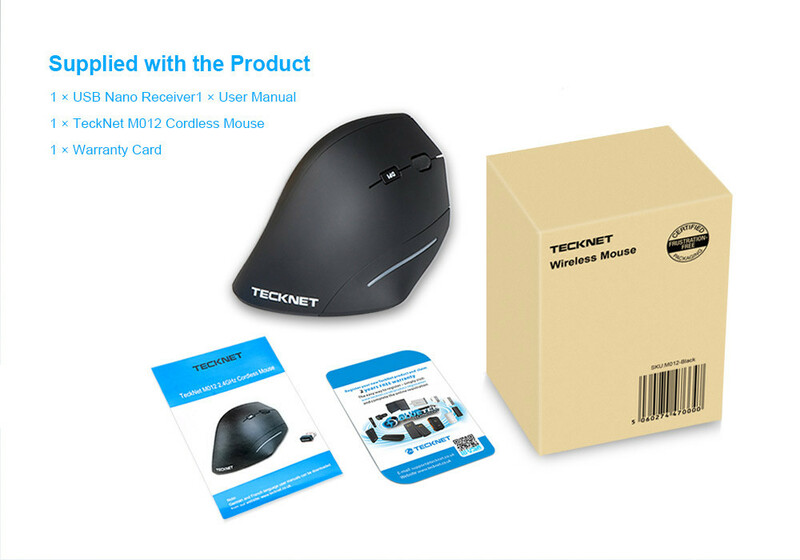 The TeckNet Wireless Vertical M012 gives you a different kind of comfort. 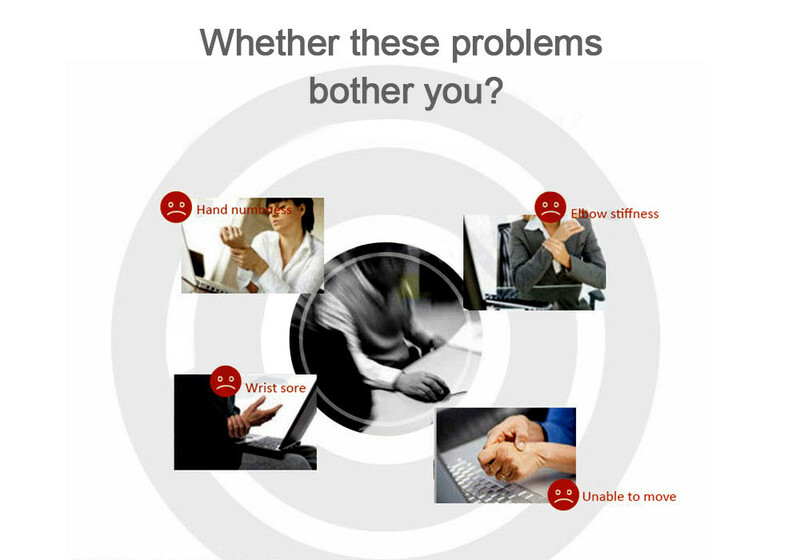 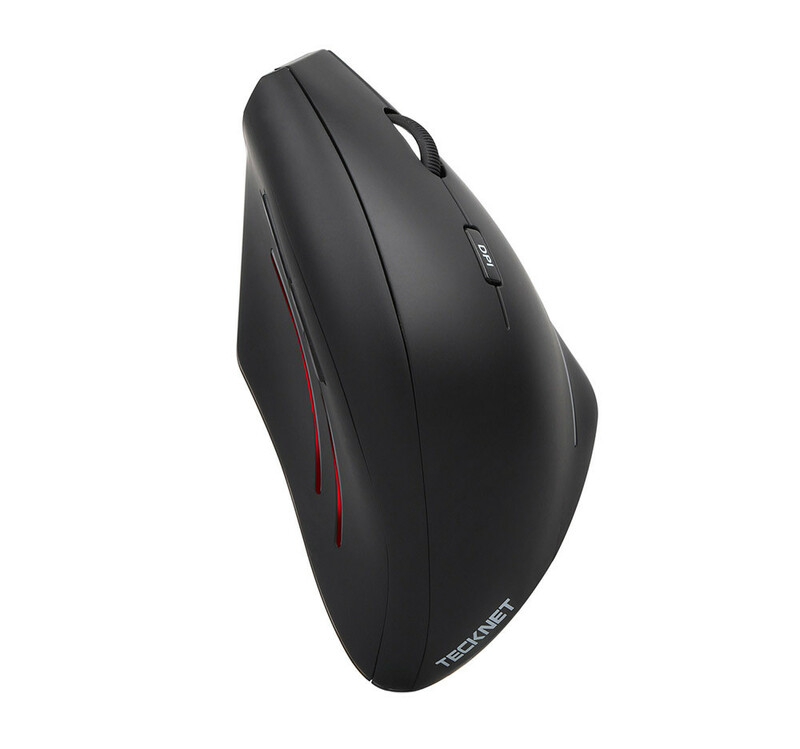 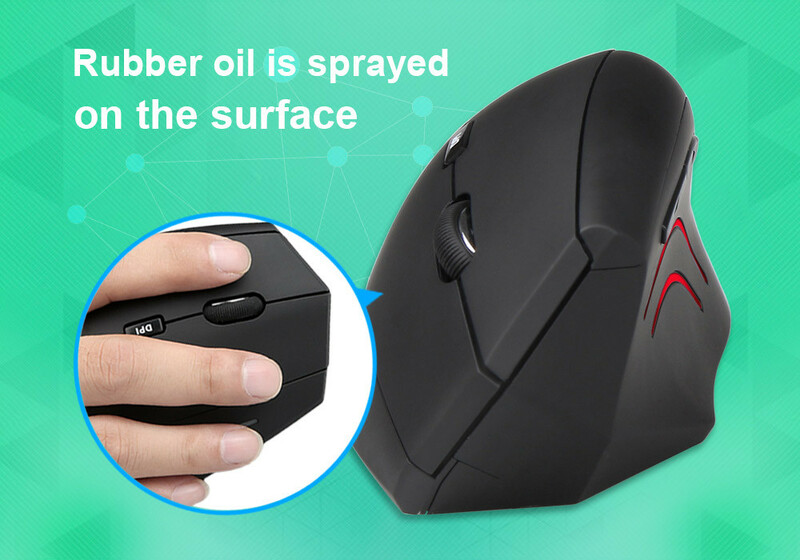 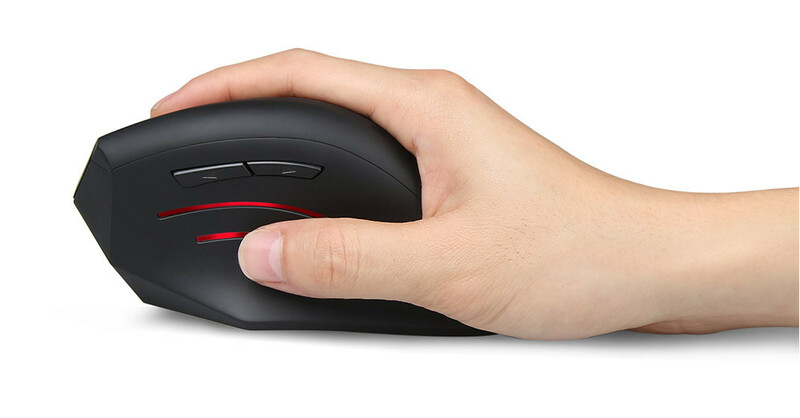 Its sculpted shape supports your hand to let you work all day with ease, instead of chasing a mouse around your desk. 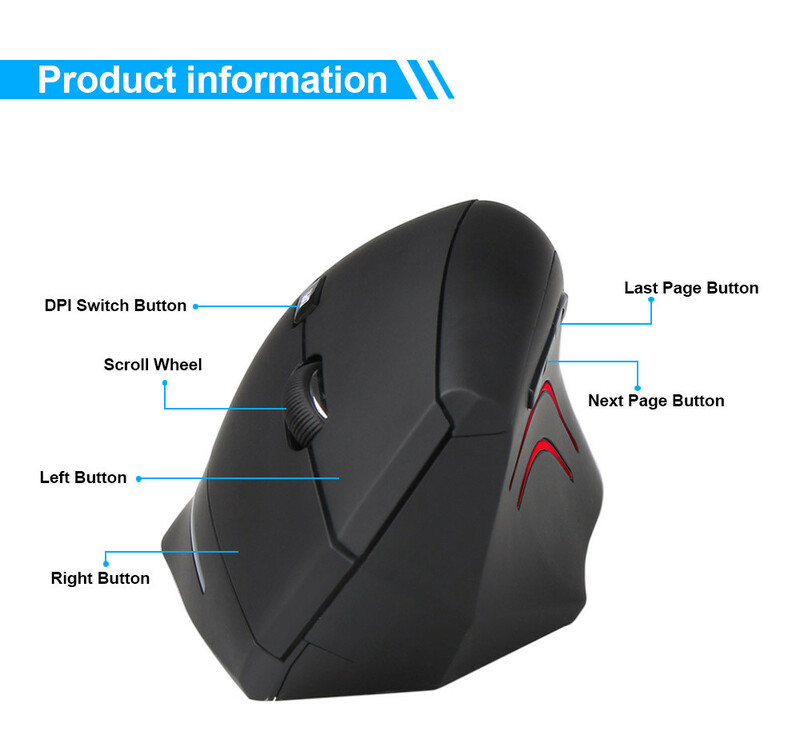 The integrated scroll wheel and easy-to-reach Back/Forward buttons make surfing on a laptop or navigating a home-theatre PC a breeze. 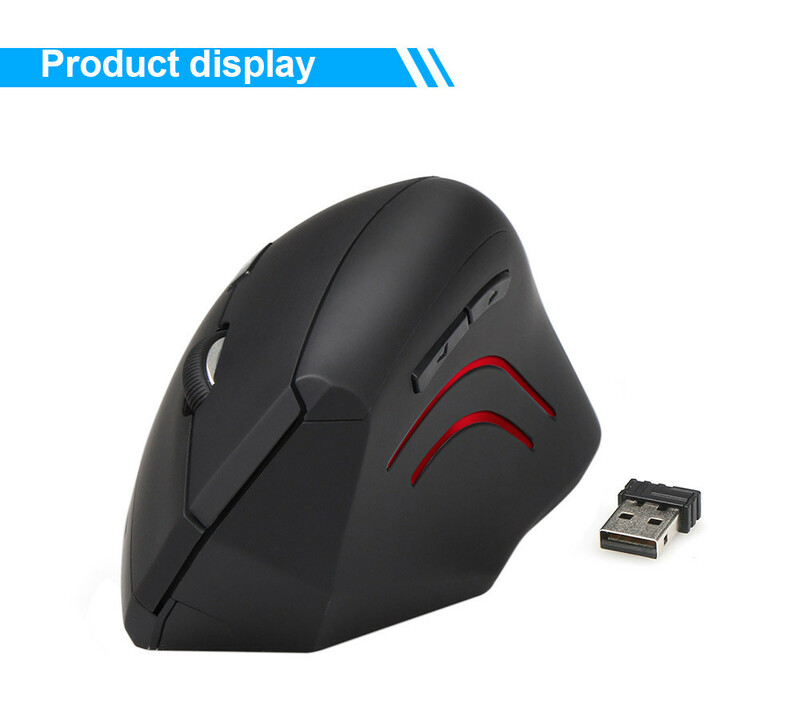 A Smart sleep mode and an On/Off switch act to save power, while an indicator light displays to inform when the mouse is active. 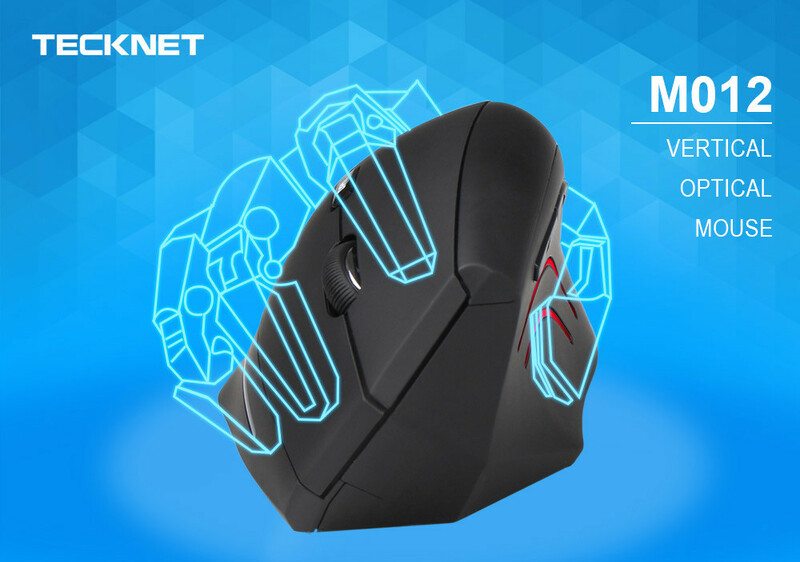 With 18 Months of battery life, you can almost forget about changing batteries.